Tokyo Girls’ Style(stylized as TOKYO GIRLS’ STYLE) is a Japanese girl group created by Avex in January 1st 2010. 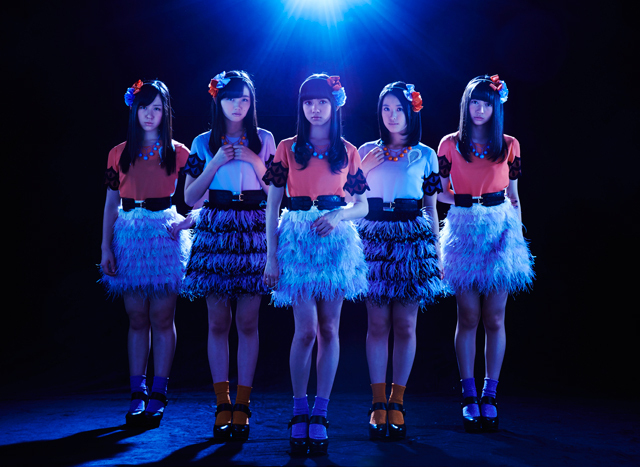 It is a five girl dance and vocal group formed by Aya Konishi, Miyu Yamabe, Hitomi Arai, Yuri Nakae and Mei Shoji. Their goal is to gain experience and grow as a group that is active not only in Japan but across Asia.They started with live performances twice a month at regular intervals. Then their two debut singles were released in May 2010. They improved their singing and dancing skills mainly through the live performances. They held the nationwide tour “1st JAPAN TOUR 2011 Kodou no Himitsu” and released their first album “Kodou no Himitsu” in May 2011. The single they released in August 2011 hit #5 on the daily hit chart. Moreover, their first hall concert in October was sold out. The concert in Nakano Sunplaza on December 24th 2011 was quickly sold out after tickets became available. Their popularity is shooting through the roof!In 2012, their second album was well received and they held the 2nd JAPAN TOUR in 6 cities nationwide starting from April 30th 2012! At the tour final in Hibiya Yaon (Hibiya Open-Air Concert Hall) on May 20th, they announced their concert in the Nippon Budokan on December 24th in front of 3000 audiences. They are picking up a full head of steam!Their goal to make a foray into Asia is being realized by releasing albums in Taiwan and Hong Kong. Also, their album hit the top 10 on the J-Pop chart in France. TOKYO GIRLS’ STYLE continues to aim for the world from Asia!